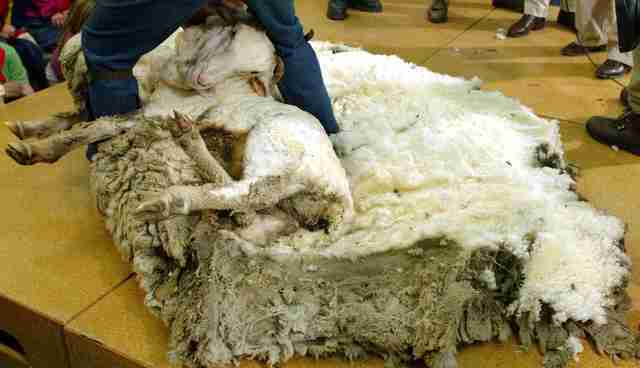 One famous sheep's determination to avoid shearing has become the stuff of fairy tales. 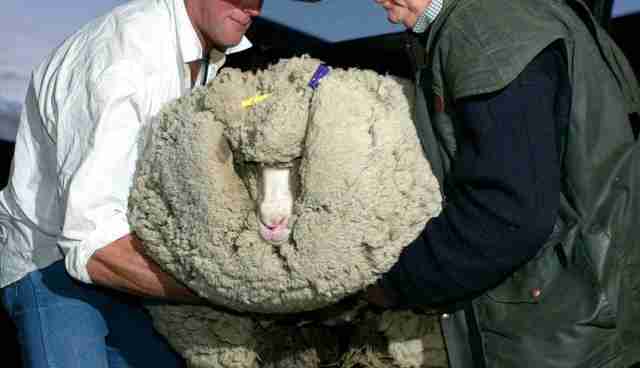 A Merino sheep named Shrek was one of 17,000 sheep on a wool farm in New Zealand. 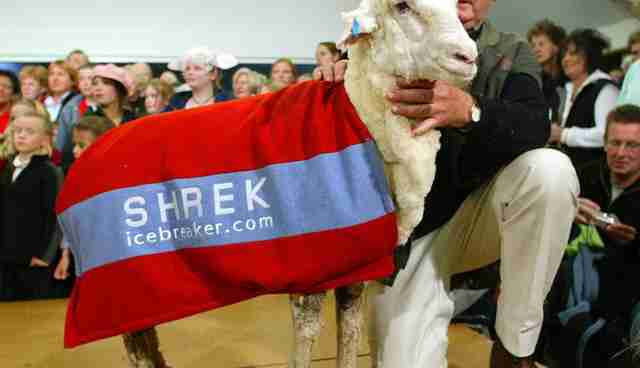 But Shrek decided to dodge shearing for 6 whole years. He eluded his owners by hiding in a cave. 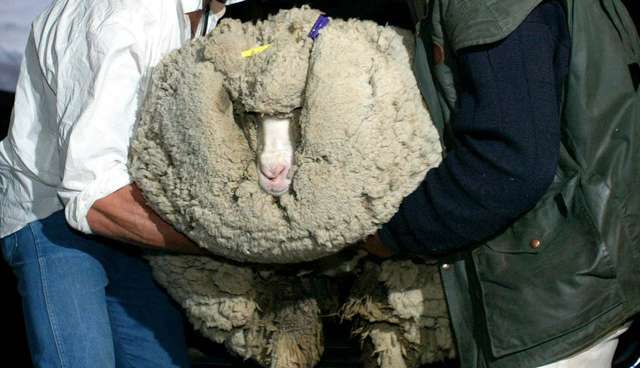 When he was found, in 2004, he was not immediately recognized as a sheep, according to the BBC. There was enough wool on 10-year-old Shrek to produce 20 men's suits (approximately 60 pounds). Shrek, who had become famous in New Zealand for being his renegade self, was shorn on live TV and his wool was auctioned off. Shrek's hijinx wound up making him a hero: the money the wool earned at auction was donated to children's medical charities. 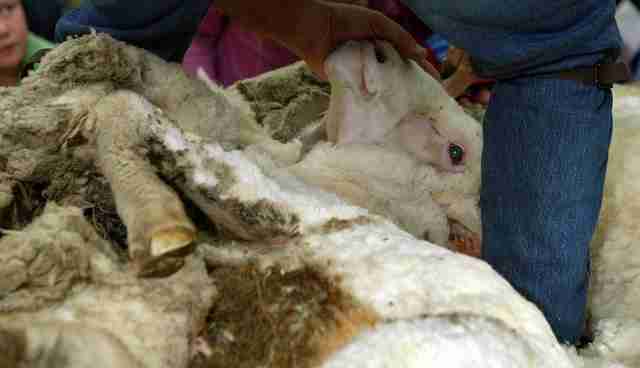 Because some kinds of sheep have been bred to produce wool endlessly, shearing is a necessity. And while some sheep really don't like the feeling of being sheared, in the hands of a good shearer, the whole process is over in just a few painless minutes. Shrek died of an illness at age 17 in 2011 and the whole country mourned him. "He was quite an elderly statesman," his owner, John Perriam, told The Daily Mail at the time. "He taught us a lot." Considering most sheep live for just six years before being sent to slaughter, it's a miracle that Shrek lived that long. And though Shrek is no longer with us, the story of the determined and beguiling sheep in his cave will remain forever in our hearts.